Spring in November at The Rosewood?? 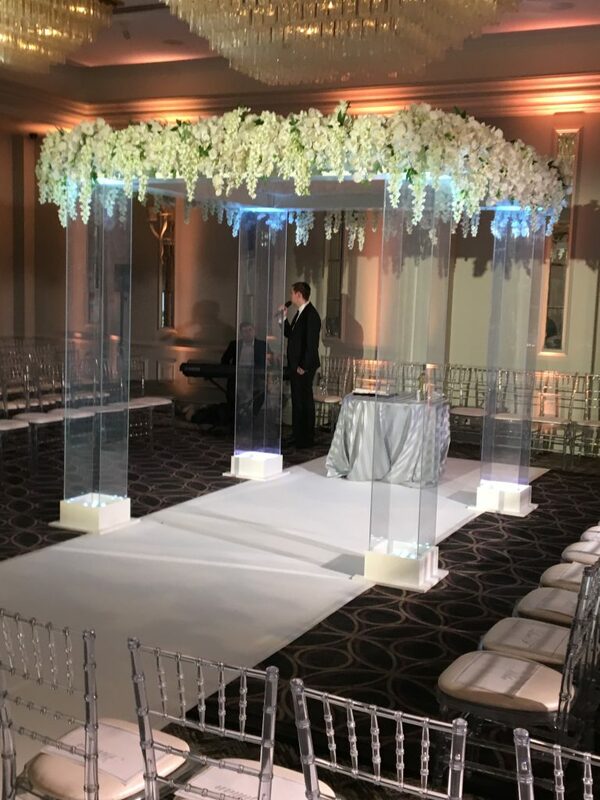 We supplied a white carpeted stage with step, a white carpet aisle and our Gold Metal Frame chuppah last weekend at the Renaissance St Pancras hotel. 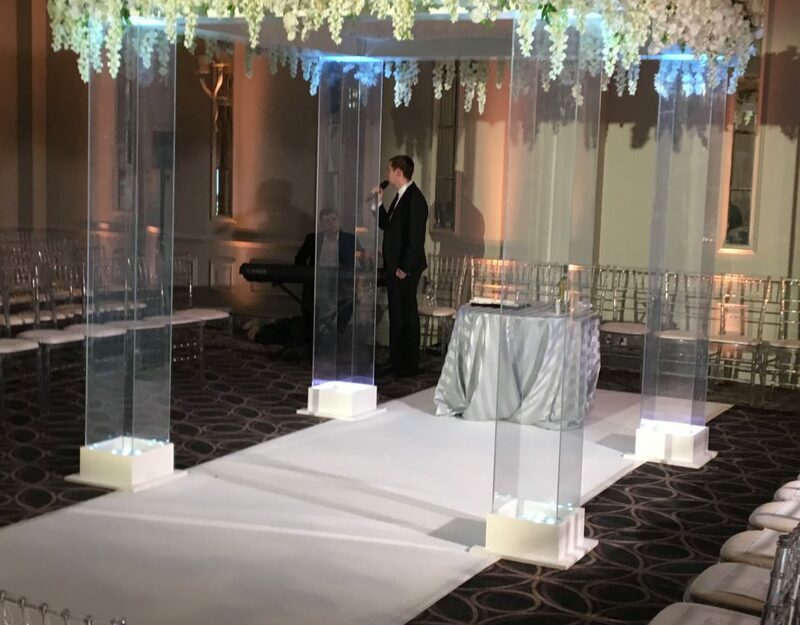 We then suspended a Tallit onto the frame to create a simple but extremely stylish chuppah that drew so many compliments, our clients were delighted overwhelmed.